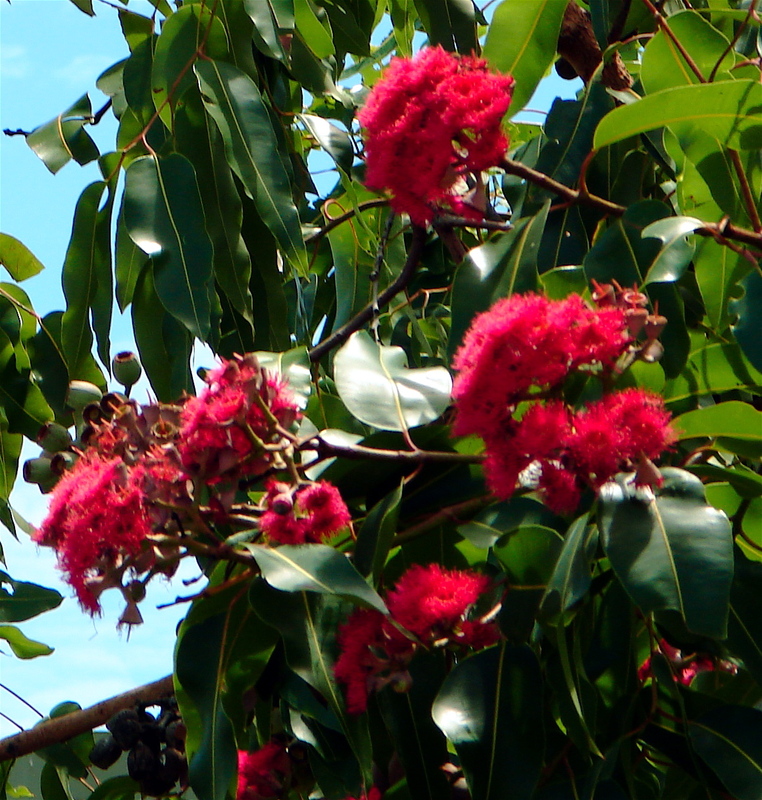 Large spreading tree, the Swamp Bloodwood, featuring clusters of red, pink or cream flowers, long glossy leave and large urn shaped pods. 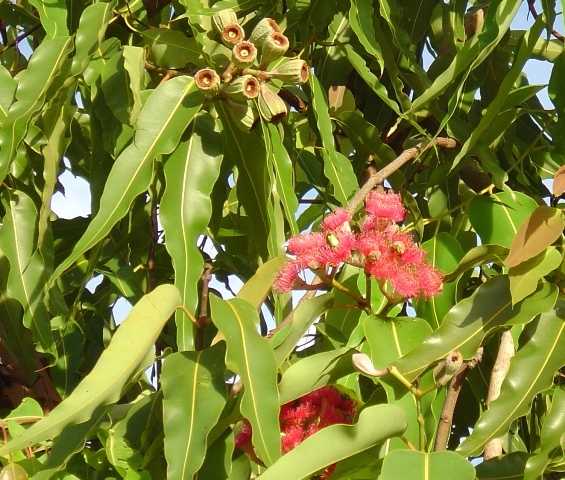 This entry was posted in Corymbia and tagged Corymbia ptychocarpa. Bookmark the permalink.